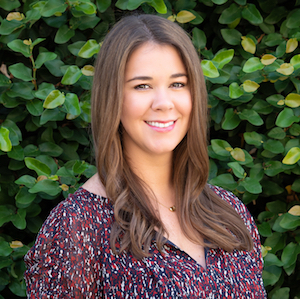 McKamy is a sixth generation Dallasite and loves carrying on her family’s legacy in Dallas Real Estate. Her family came to Dallas in the 1850s and purchased 16,000 square miles of farmland that has since been developed into country clubs, parts of SMU and Preston Hollow. With a plethora of funny stories about Dallas, she keeps clients entertained during the buying/selling process. McKamy started selling homes in 2006 and quickly became a Top Producer at her previous company. She understands the intricacies of up and down real estate markets and thrived through the 2008 downturn by helping her clients purchase investment properties. Her intimate knowledge of Dallas neighborhoods and analytical approach helps guide her clients to their next home. Her ability to brilliantly stage and position properties in the marketplace is the hallmark of her high-touch, hands-on approach. Her strategy has guided her to be consistently named D Magazine Top Producer. McKamy currently lives in Bluffview with her husband and chocolate lab. She is a living kidney donor and passionately gives to Children’s Medical Center, KidneyTexas and The National Kidney Foundation to send kids to Camp Reynal, a John Marc Camp. She loves to start her day at SoulCycle or playing tennis. She is known by her friends as the soufflé queen and is always up to host a dinner party. As a foodie, she is always trying new restaurants in Dallas and around the globe! "McKamy guided us through the entire home buying process with patience and ease." - Elyse A. "She could provide us with tailored guidance that helped us find a house that met not only our needs but our wants." - Reagan G.
"She was organized, courteous, and efficient. She went beyond expectations on the transaction." - Mike C.
"It takes a true Dallas native to know the ins and the outs of the city’s neighborhoods like McKamy Looney." - Heather K.
"Everything went seamlessly and I couldn't be happier. Even after I closed, she is helping with recommendations on contractors for renovations." - John D.